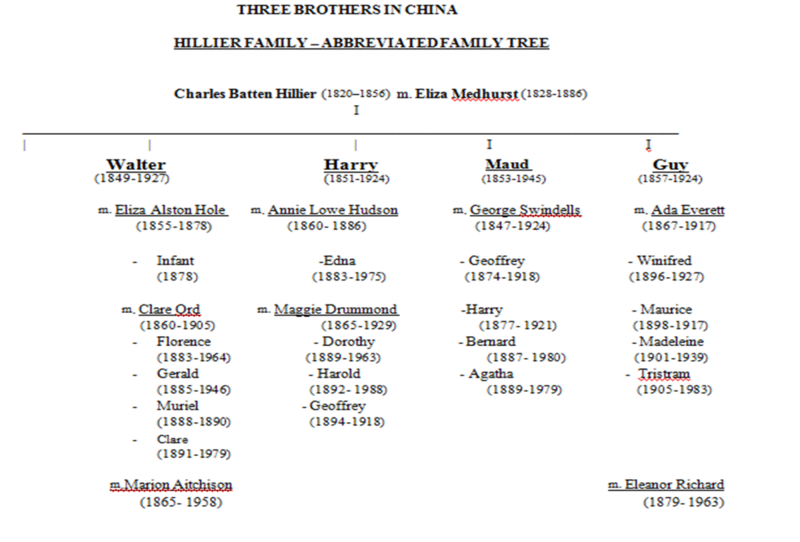 Further to yesterday’s post, Andrew Hillier here continues his exploration of the three Hillier brothers (Walter, Harry and Guy) and their families. Here, Andrew takes us to the First World War, the centenary of which is of course fast approaching, and the ways in which war and masculinity impacted family relations and codes of masculinity. 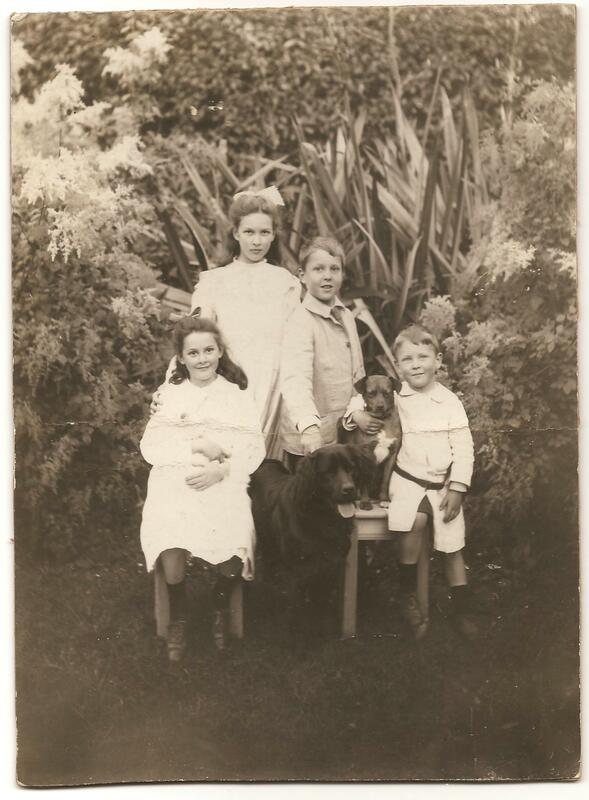 We join the Hilliers in the first flush of the Edwardian era, and leave them in the dying days of the First World War. While we may be tempted to see these years as an era of profound change, this post reminds us of the continuities between pre- and post-war life: here in terms of family, masculinity and empire. Separation had come early to Guy Hillier’s family. Partly as a result of the blindness which struck him in his early forties but did not prevent him from working – he was the Peking Agent of the Hongkong and Shanghai Bank – in 1905, he settled his wife and four children back in England (the eldest, Winifred, was ten and the youngest, Tristram, was one) and returned to China. He did not see them again for six years. Whilst there were close bonds between the siblings, the separation from their father together with their mother’s ill-health prevented any proper family intimacy. Unfortunately, he failed to fulfill the promise and the complaints continued. But in an effort to demonstrate his manly qualities, he it was who took the all-important decision to leave school when he was just seventeen and enter the Staff College at Sandhurst and obtain a commission. By early 1917, the eighteen year-old second-lieutenant was in Flanders and was telling his father in Peking how he was relishing the chance ‘to have a really good fight with brother Bosch’. 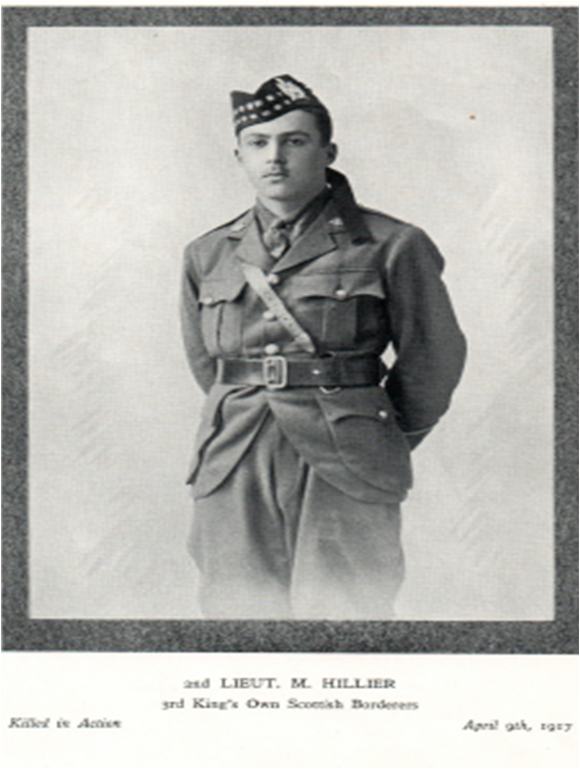 Within months, he was dead, killed on 9th April by a sniper bullet, whilst leading an attack at Vimy Ridge. It was, as one of his colleagues wrote to his mother, ‘a grand death. Our success was complete and no soldier could die at a better moment’. For Ada, such grandeur was of little solace and, already in very poor health, she died later that year. Mr H.is ever so cheerful and it is wonderful what fun we have. I seem to have laughed more in this last month than in a couple of years in Shanghai….. He was a fine manly lad and I watched the development of his character from the time he entered Sandhurst with growing interest and appreciation. I feel his loss as much as if he were my own son ….He was, doubtless no genius, but he was full of manliness and high ideals. For both Walter and Guy, Maurice had fulfilled ‘the ideal of sacrifice and military manliness’. In researching this piece, I was extremely fortunate that descendants of Guy’s amanuensis allowed me to use her diary (150 pages) (which they by chance mentioned to Professor Bickers when asking him about some photographs) and that Downside had kept and gave me access to all Guy’s correspondence (well over 100 pages). But my conclusions about the response of Guy and Walter to Maurice’s death may well not appeal to some of the family and I am conscious that I must tread carefully. Tristram Hillier, Leda and the Goose, An Autobiography (London: Longmans, Green and Co, 1954), pp.27-29. Downside Archive. For reasons of space, specific references are omitted. Stonyhurst Magazine, letter to Ada Hillier (author unidentified), 21 April 1917, The Stonyhurst Magazine (no.21), July 1917, p.1977-1978. SonjaLevsen, ‘Constructing Elite Identities: University Students, Military Masculinity and the Consequence of the Great War in Britain and Germany’ in Past and Present, 198 (2008) pp. 147-83 at p.159. 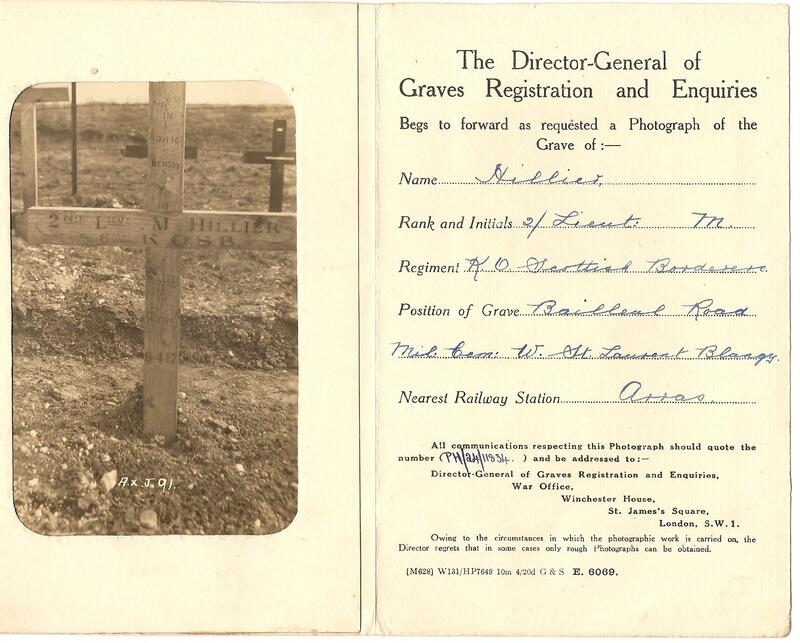 This entry was posted in Family Stories, Information and tagged Brothers, China, First World War, masculinity, WWI. Bookmark the permalink.